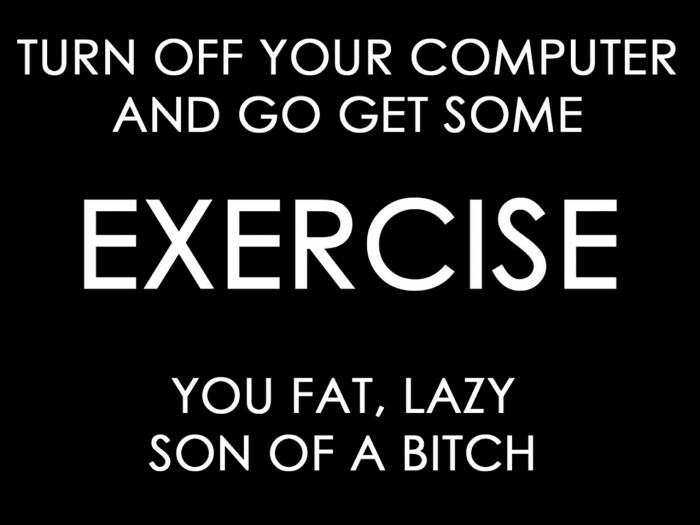 Turn off your PC, you lazy sonofabitch! eeeeh, I’ll do it later. Yeah, I just finished exercising. Leave me alone.